Stretching along the coast from Sandilands to Chapel St Leonards and inland to Hogsthorpe, Mumby, Anderby and Huttoft, the Lincolnshire Coastal Country Park has beaches, nature reserves, public footpaths and more to explore. 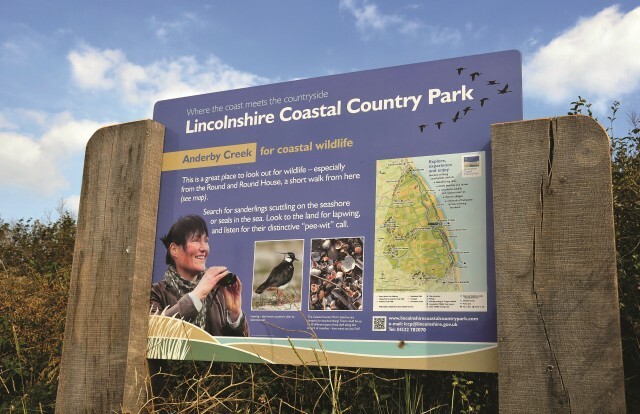 Lincolnshire County Council and partners are working to provide high quality facilities for people and better protection for wildlife throughout the Coastal Country Park area, and to increase the opportunities for people to experience the landscape, wildlife and special features of this part of the Lincolnshire coast. A programme of events and activities are planned throughout the year.